Interim Progressive Conservative leader Vic Fedeli says he has no regrets about his "blunt" characterisation of the PC's ongoing challenges, but added that those issues may have forced him out of a leadership bid. A day after Vic Fedeli pledged to fix the "rot" in his party rather than run for its leadership, the interim Progressive Conservative leader says he has no regrets about his characterization of the party's internal challenges. At a Tuesday news conference where Fedeli announced he would not enter the PC's upcoming leadership race, Fedeli surprised some observers by harshly criticizing a range of ongoing issues. They include the party's internal reporting, membership lists and analysis, and security of its computer systems. "I am giving you my word here today, that I will fix the problems in our systems, in my role as leader, and I will root out any rot that manifests itself," he told reporters at Queen's Park. During a Wednesday interview on Metro Morning, Fedeli doubled down. "Look I was very blunt yesterday, and harsh, but that's just the way I am," he said. "I hope people in Ontario find that refreshing." Fedeli reiterated that his description of the party's "rot" refers only to its faulty internal systems, and not its leaders or staff. He said concerns that PC brass had ignored rumours of sexual misconduct was not a factor in his description. "That wasn't what I was referring to," Fedeli told host Matt Galloway. "It's just the infrastructure," Fedeli added. "I want to make sure that the infrastructure is actually in place to run not only a leadership race, but to run in a general election, and I don't think we were there." Fedeli is also overseeing a complete review of the PC's membership list, which ballooned from some 10,000 members to more than 200,000 in the years since the 2014 provincial election. Many of those members came during the 2.5 years that former leader Patrick Brown held the party's top post. The feat was often touted as one of Brown's most enduring legacies and helped propel him to victory in the last leadership race. Recently, however, significant doubts about the veracity of the list have been raised. The Toronto Star reported this week that Hamilton police are currently probing allegations of fraud and forgery during a candidate nomination contest last May. Fedeli said his staff is co-operating with investigators while carrying out its own parallel investigation into alleged irregularities in the list. On Parliament Hill on Wednesday morning, Brown ally and federal Conservative MP Alex Nuttall called Brown's ouster "an inside job" by "elites" in the Ontario PC caucus. He said the party's review of its membership list is a move by said "Toronto elites" to "expel tens of thousands of paid members" drawn to the party under Brown. Notably, however, there's only one member of the PC caucus who actually represents an area within Toronto, MPP Raymond Cho from Scarborough-Rouge River. 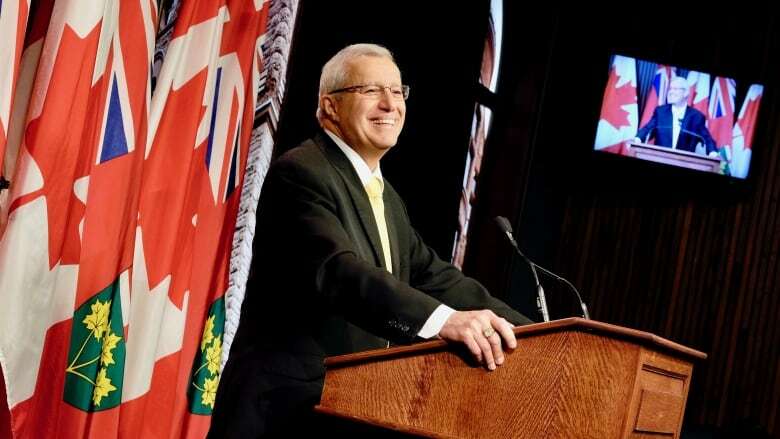 Fedeli said the scope of problems afflicting the party has made it impossible for him to simultaneously lead the party, repair the issues and mount a leadership campaign. Before being named interim leader, Fideli said he would seek the permanent leadership post. "Of course I wanted the job, it was a gruelling decision," Fedeli said, adding that he stayed up all night agonizing over the decision before bowing out. 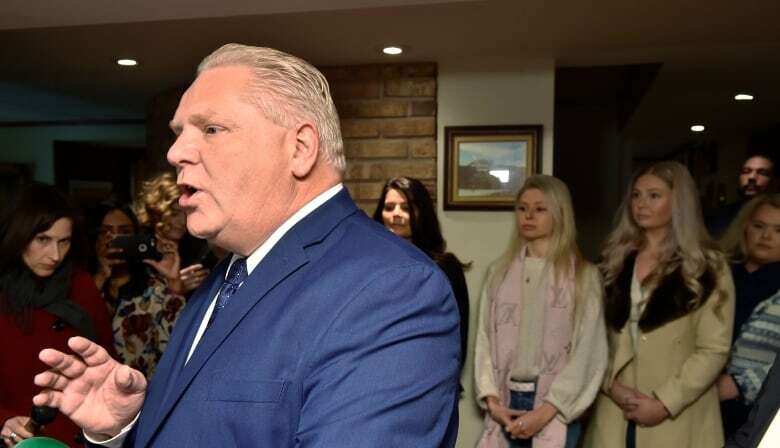 As interim leader, he's already fielded calls from Doug Ford, who announced his candidacy this week, as well as possible candidates Caroline Mulroney and Rod Phillips. He insisted that he would not throw his support behind any of the candidates who enter the race. "I will be Switzerland in this," he said. "I will be neutral." The PC's leadership committee, the group responsible for crafting rules for the leadership contest, is expected to submit an outline for the upcoming race to the executive committee for consideration on Wednesday night.